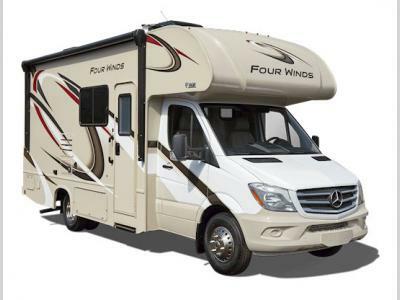 The Four Winds Sprinter by Thor Motor Coach is here to provide you with a way to make all of your travel dreams come true. 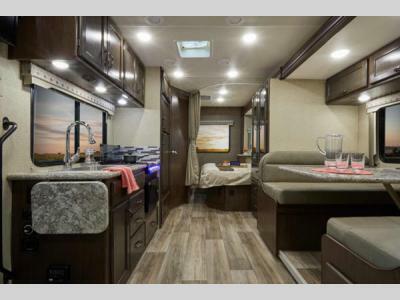 This class C diesel motorhome has everything you need to create the home on wheels that will fit you and your family just right! Built upon the Mercedes-Benz Sprinter chassis, you can rest assured that each and every ride will be dependable and comfortable. 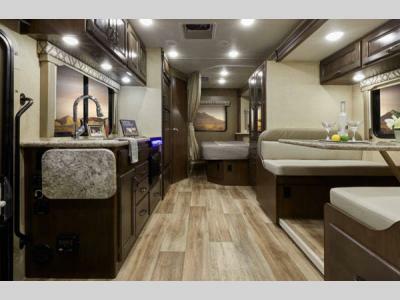 You will love the sleek fiberglass exterior in one of four color choices, and you will also appreciate having power windows and door locks, as well as a power patio awning with integrated LED lighting. The interior will entice you with all of its fabulous features, like the laminate countertops, Denver Mattress, residential vinyl flooring, and 84" ceilings. Why not start living your dreams today by choosing a new Thor Motor Coach Four Winds Sprinter class C diesel motorhome? You are sure to be impressed with all that it has to offer!